Snoring is something a person does not intend to do when he or she is sleeping and snoring solutions are definitely not on anyone’s dreamlist. However, the snorer himself is not the one who is greatly affected with his condition, it is usually his partner or other people who are sleeping with him in the same room that are greatly affected. Snoring is not just a sound produced when a person is sleeping, it can also be an indication of a person to suffer from sleep apnea. Sleep apnea can be a life-threatening sleep disorder, which is characterized by a person to experience multiple episodes of breathing cessation during sleep. That is why, there are anti snoring pillows designed by experts, to help in resolving snoring problems and help in preventing complications of snoring to a person’s health. 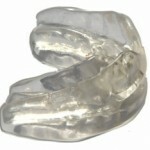 Anti snoring pillows are generally designed by doctors as a therapeutic aid for people who are suffering from snorers. The aim for doctors who designed anti snoring pillows is to help a person in maintaining an improved and obstruction-free airway while a person is sleeping, since one cause of snoring is due to an obstruction to the throat. As much as possible, anti snoring pillows should also provide comfort to the person sleeping, to improve quality of sleep. There are a lot of different anti snoring pillows available in the market these days. 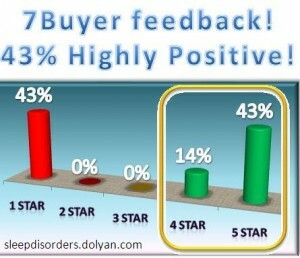 However, not all people find a specific type of anti snoring pillow to be effective. And sometimes, some people don’t find anti snoring pillows to be effective. But one really good thing about this type of snoring solutions is that all the pillows are a natural way to stop snoring and do not disturb or affect your body negatively. 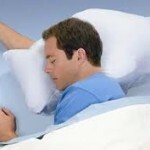 The SleepRight Side Sleeping Pillow was developed to help in reducing, head, neck, and jaw tension. It is considered to be one of the most advanced side sleeping pillow available in the market today. Aside from reducing tension to the head, neck, and jaw, the pillow can also help in reducing snoring, thus improving quality of sleep. How Does the SleepRight Side Sleeping Pillow Work? The pillow comes in a 12 degree shoulder cradle, which helps in accommodating the angle between the head, neck, and shoulder as a person is sleeping on his or her side. This can help in relieving pressure tension, thus providing more comfort during sleep. 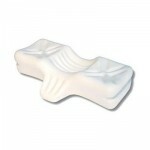 Its memory foam is Visco-elastic that can conform to the facial contour of the person sleeping. This pillow also helps in improving and maintains proper alignment of the spinal column with the neck and throat, which can improve airway, thus improving breathing. Such a spinal alignment is rather common to find in pillow based snoring solutions. 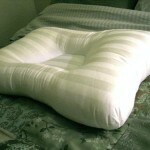 This type of anti snoring pillow is not recommended to be used by people who are back sleepers. This type of pillow is specially designed for side sleepers. 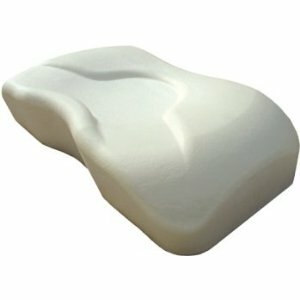 However, this pillow is worth-trying, for a lot of people who tried using SleepRight Side Sleeping Foam Pillow find it effective. If you are looking for solutions and something does not appeal to you just have a look at others, there are many snoring solutions available – just browse our website. Will an Anti Snoring Pillow Work if I Sleep On My Side? Anti Snoring Pillow – How It Works?